I hate sensational headlines, so I’ll tell you the answer in the next sentence but the title of this post is the only way to introduce this topic. Studies have suggested that Alzheimer’s disease might be contagious, and a small study just appeared in January backing that conclusion, but you are NOT at risk if you are simply caring for someone with the disease. That being said, I’d like to look at the implications. If Alzheimer’s disease is contagious, might there be a way to stop or reduce it’s spread? Brain research John Hardinge was examining brain samples from four patients who had died of Creutzfeldt–Jakob disease, a rare condition caused by prions, infectious proteins, entering the brain. The patients had received prion contaminated injections of human growth hormone years ago. 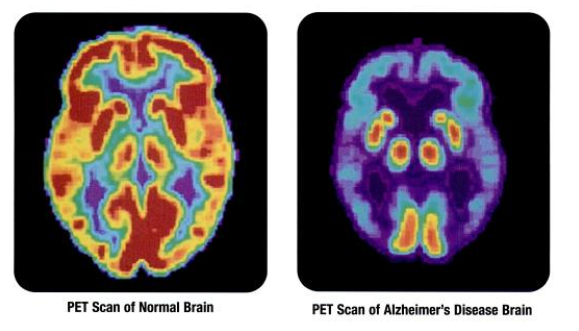 The brains not only had signs of CJD, but the microscopic masses of amyloid plaques associated with Alzheimer’s as well. Could the “seeds” of the amyloid plaques, been transferred with the CJD prions? If so, can blood transfusions, organ transplants, or even surgical tools transmit amyloid plaques that destroy the brain later? Right now, the answers aren’t clear. The brain samples were from such a small population. Were the plaques seen on the brain actual Alzheimer’s damage, or just a part of CJD? There is evidence mice can develop Alzheimer’s after amyloids are injected into their bodies. Could something as simple as a blood transfusion spread a condition that seems to take more than just amyloid plaques to induce? More studies with larger sample sizes are in the works and efforts are being made to sanitize surgical tools so that even sticky little amyloids will be removed. Until we know more, this post seems a little bleak, but if infectious proteins can be introduced, what if they can just as easily be removed? How much longer and better could we live with that sort of treatment?